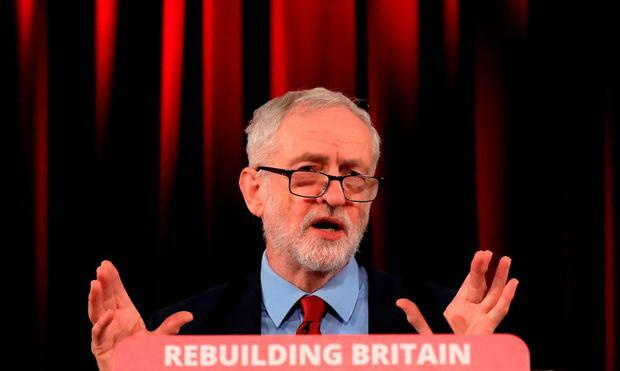 Labour leader Jeremy Corbyn endorsed a plan to force a second EU referendum as he bowed to pressure from party members and MPs last night. Mr Corbyn wants the British government to give MPs the final say next week on a second referendum. If a majority back a referendum, parliament could force Theresa May to hold a new in/out public vote that could cancel Brexit. Supporters of the so-called “People’s Vote” were jubilant last night, describing Labour’s new policy as a “momentous” move that brought a referendum a “massive” step closer. It came after Mrs May warned MPs that a fresh referendum would “damage social cohesion” because it would “undermine faith in democracy”. Yesterday, the prime minister outlined her Plan B for securing parliament’s backing for a Brexit deal, which is centred on renegotiating the backstop with Brussels. However, it is understood Oliver Robbins, Mrs May’s chief Brexit negotiator, privately undermined the idea even before she could announce it. He texted Chancellor Philip Hammond during a cabinet conference call on Sunday and allegedly said Brussels would not reopen the EU Withdrawal Agreement to renegotiate the backstop. Separately, Work and Pensions Secretary Amber Rudd warned Mrs May that up to 40 ministers could quit so they could support backbench plans to take a no-deal Brexit “off the table”. At least four other cabinet ministers are understood to have issued similarly stark warnings to the prime minister as part of a push for a free vote on the issue next week. It is understood officials at Conservative headquarters were effectively put on election footing yesterday during a briefing by Mick Davies, the party’s chief executive. He said the party needed to ensure it had the “resources in place” for a snap election in the event that the prime minister could get her deal through the Commons.